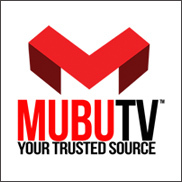 LOS ANGELES (CelebrityAccess MediaWire) — Following their successful first series, MUBUTV has launched their second season of music industry insider interviews with an interview with veteran agent Tom Windish of The Windish Agency. The series features exclusive interviews with some of the leading figures in the international music scene today and will focus on a range of relevant to the industry today, including marketing, branding, music publishing, artist booking agencies, artist management and what it means to be an indie artist in today's music business. Other interviews lined up for the series' second season include artist Manager John Watson – Eleven Music – Manager (Gotye, Missy Higgins) among others, Tom Callahan and UK manager Mark Muggeridge, marketing & branding expert Ted Chung (Cashmere Agency) music publishers David Renzer, (Former President of Universal Music Publishing) and Jens Markus-Wegener. The new season of MUBUTV Insider premiered on August 15th and they plan to release a new interview for the series on a bi-weekly schedule.